The huge pointed rocks that rise up from the sea just off the coast of Capri have become an instantly recognisable image of the island. 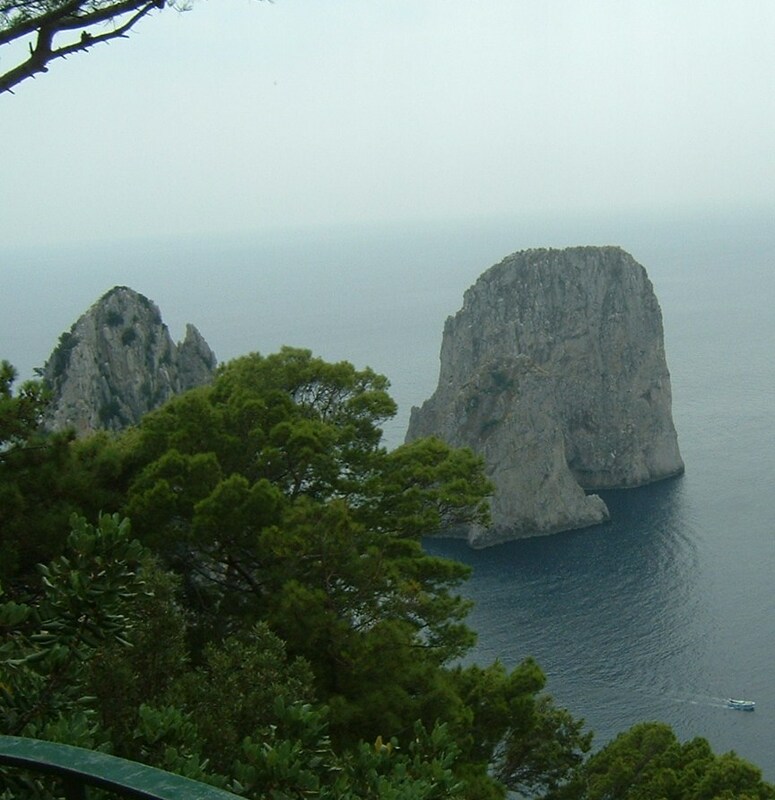 I Faraglioni symbolise the rugged beauty of Capri and have been extensively photographed. The three rocks are off Porta di Tragara, a panoramic point not far from Marina Piccola, Capri's main port. They were created by the erosion of the sea, which broke down walls of rock over the centuries. The first one is il Faraglione di terra (known as la Stella), which is 109 metres high and is still joined to the island by a narrow strip of rock. The middle one, il Faraglione di mezzo, is 80 metres high and the furthest one, il Faraglione di fuori (known as Scopolo) is 104 metres high. Il Faraglione di mezzo has an archway in the middle that small boats can pass through. The rocks can be admired from several points on the island but you can get close to them by walking down from the centre of the island along Via Tragara to Porto di Tragara. If you would like a hotel with a good view of i Faraglioni, consider a stay at Hotel Punta Tragara. The five star hotel, located at Via Tragara 57, has a series of terraces with wonderful views and you can enjoy lunch or dinner outside overlooking i Faraglioni. 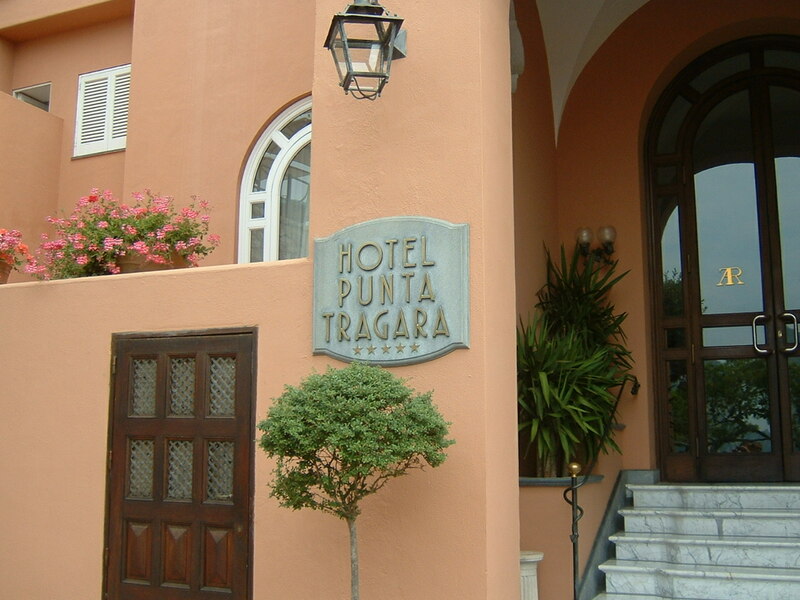 Hotel Punta Tragara offers rooms and suites that are all different because of the choice of panoramic views their occupants can enjoy. The hotel has a spa and swimming pool and the restaurant and pool bar serve lunch, dinner and bar snacks.